It’s official! 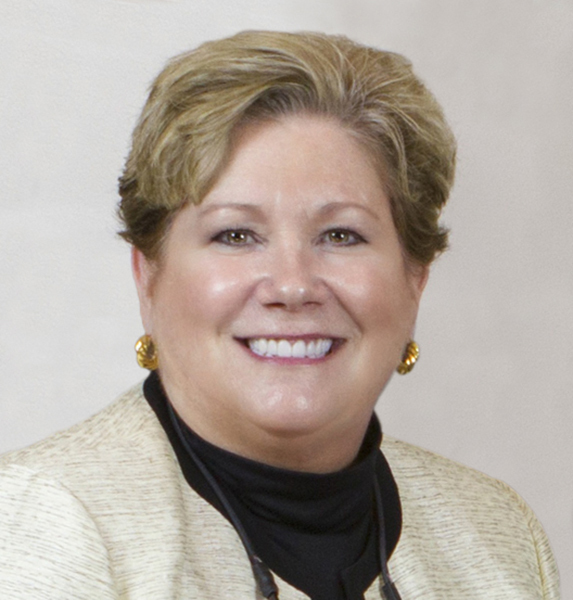 Following a comprehensive national search, the Board of Trustees has unanimously selected Peirce College’s eighth president: Dr. Mary Ellen Caro. Dr. Caro currently serves as Vice President of Enrollment Management and Learner Services at Thomas Edison State University in Trenton, N.J., where she is responsible for a wide range of functions, including student affairs; strategic corporate partnerships and learning contracts; marketing; and recruiting. She previously held other leadership positions at Thomas Edison, including Executive Vice Provost, Associate Provost and founding Dean of the School of Business and Management. Dr. Caro joined Thomas Edison in 2004 after a 25-year career at AT&T, where she progressed through several executive positions, culminating as Vice President of AT&T Business Services. Caro completed her doctorate in Higher Education Management at the University of Pennsylvania, focusing her dissertation on partnerships between business and higher education. In addition, she earned a Master of Science in Management from Stanford University, where she was an AT&T Sloan Fellow; a Master of Science in Applied Statistics from Rutgers University; and a Bachelor of Arts from the College of Saint Elizabeth, where she majored in Mathematics and Sociology. Dr. Caro becomes the first woman to hold the position of President and CEO in Peirce's 153-year history. Her first day at Peirce will be April 16th, 2018. After 30 years with the College, current Peirce President and CEO James J. Mergiotti will retire on April 13th. Mergiotti was appointed president in July 2009 after serving as vice president, administration and executive vice president and chief operating officer. Before joining the administration, Mr. Mergiotti served as a Peirce College trustee from 1988 to 1998, including a term as board vice-chair. “Dr. Caro’s expertise and vision will provide the perfect ingredients to expand on the great work of the Peirce community.” Mergiotti said. “I am very enthusiastic about the College’s future under her direction and delighted that an executive of her caliber will be joining the leadership ranks in our region." This morning, the Philadelphia Inquirer published a story in both print and online announcing Dr. Caro's appointment. Click here to view the article. Welcome to Peirce College, Dr. Caro! 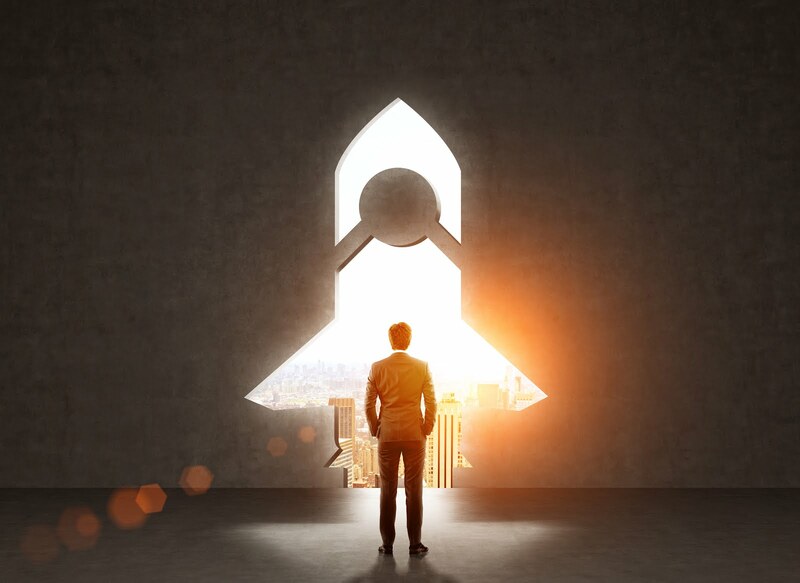 Picture a rocket ship catapulting into space – this is what we envision for our business students as they advance in their professional careers. Many of these students are returning adults who are already working in full-time positions and are looking to get promoted or transition into other career paths. 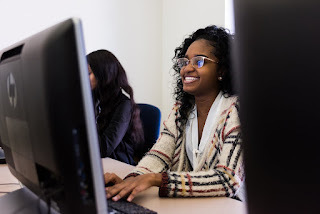 In order to assist our business students with achieving their career goals, at Peirce College, we equip them with academic knowledge in management, accounting, economics, marketing, ethics, and statistics, but is this enough to move through an organization or through the stratosphere of their chosen profession? The honest answer is: no. According to senior business leaders and human resource professionals such as Sarah Fister Gale and Christine Ottow, employees with the greatest soft skills, or as we call them at Peirce, power skills, will drive business results and advance into leadership roles. Some of these skills include: professionalism, interpersonal skills, problem solving, adaptability, and personal value commitment. With this in mind, the business division faculty at Peirce College took on the mission to support the soft skills development of our students as a critical endeavor. Instead of solely including information about these skills in class, we chose to also create engaging and interactive opportunities outside of the classroom for students to participate in. Over the past three years, we held annual conferences featuring local business leaders from a variety of industries covering topics on professionalism, emotional intelligence, networking, office politics, working in teams, and dealing with change. We’ve even offered a golf etiquette opportunity where students learned how to strengthen work relationships over the game of golf! Additionally, we also distributed career development books to students to continue furthering their education beyond the classroom walls; for example, The Start Up You and The Mindset: The Psychology of Success. All of these opportunities resulted in positive outcomes for our students such as professional growth and development and the fostering of relationships with our experienced faculty. We are passionate about achieving our mission of equipping students with academic credentials and soft skills development, so our students EXPLODE through their career universe. As an additional bonus, the first thirty students to register will receive the book, GRIT: The Power of Passion & Perseverance. There’s no time to wait, register now for our upcoming Professional Enrichment Series event here. Can you socialize your way to a better career? Absolutely. Although most people start the hunt for a new job online, most recruiters start the hunt for candidates by activating their networks. They ask their colleagues, friends, and professional contacts for referrals, because they assume that contacts who know their businesses will know what makes for a successful employee in that particular environment. Because of this, analysts estimate that 80% of open positions are not formally advertised. This means that you need to be in the know to hear about these job openings – which means that you need to network, network, network. Fortunately, this doesn’t mean that you have to spend your evenings handing out business cards at formal networking events. Instead, start talking to people. Strike up conversations at your kid’s soccer game, or in the elevator, or with other students in your classes. As you build rapport with a wide range of people – especially if you are able to quickly share your goals for your next career move in those conversations – you’ll be more likely to get tapped when opportunity arises. Remember that the strongest leads come from the weakest ties: there’s a better chance you’ll get new information by talking to people who move in different circles than you do. And make sure that you don’t overlook the power of online networking. Employers are increasingly using social media to screen candidates for job openings, according to a 2017 CareerBuilder survey that reached over 2,300 hiring managers across industries. They’re looking online for evidence that you are the professional you claim to be, so make sure that’s what they find! Most professionals have heard the advice to keep party pictures away from their profiles, but have you heard that not having an online presence at all can hurt you? CareerBuilder found that 57% of employers are less likely to schedule an interview with a candidate if they can’t find that person anywhere online. 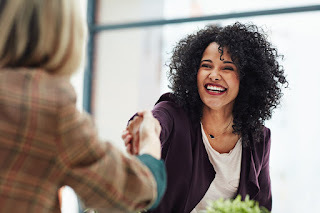 Finally, don’t forget to take advantage of the opportunity to connect with recruiters face-to-face at events like job fairs. Most recruiters attend job fairs not to hire on the spot but in order to connect with candidates and quickly prioritize the applications they receive. If you are actively looking for a new job, think of a job fair as a way to offer a smile and a handshake, leaving a good first impression that will help your resume stand out from the crowd. NET/WORK (Tuesday, February 27, 3-8pm at the Fillmore) is a technology job fair showcasing vibrant companies seeking talent and talented people seeking work. Peirce’s Career Development Services will be providing mock interviews for attendees, and Peirce students can receive a 20% discount by registering with the code PEIRCE. A Virtual Veteran’s Job Fair (Tuesday, February 27) is planned for former service members. Attend from anywhere and connect with recruiters looking to hire veterans with college experience. Campus Philly’s Social Impact Expo (Friday, February 23, 1-4pm at Temple University’s Mitten Hall) will feature the region’s leading mission-driven organizations, recruiting students interested in careers that make an impact. Learn how to get involved with mission driven work—whether you’re looking for an internship or a job offer, volunteer or service work—and meet recruiters from across the region. This is a great way to find out how to work in Philadelphia’s non-profit and social impact community. Hire Talent (Tuesday, April 10, 11am-2:30pm, at the 23rd Street Armory) is an alumni-only career fair. The fair will feature employers from a variety of industries, including education, investment banking, technology, consulting, healthcare, sales, government, and the nonprofit sector. Peirce’s Annual Job Fair (Thursday, April 26, 3-6:30pm in College Hall, Rooms 51/52) is free for students, alumni, and friends of Peirce to attend. Employers include companies interested in hiring from all academic disciplines at Peirce. As always, Career Development Services is here to help you practice your elevator pitch, warm up for interviews, make introductions, and generally support you in mapping out a pathway to your next job. Call 215-670-9202 or email cds@peirce.edu to set up an appointment today! For some people, the path they take to earning a college degree can take a drastic turn, steering them in a direction far from where they started. 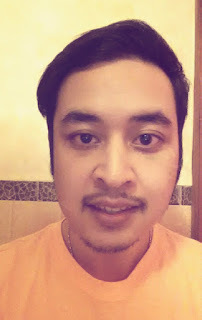 Vandy Sam, a Peirce College student majoring in Information Technology with a concentration in Programming and App Development, is the perfect example. Vandy originally developed an interest for dentistry when he was younger. Following high school graduation, he immediately began classes in hopes of pursuing this dream. To his surprise, he quickly realized that the field didn’t excite or interest him as much as it did when he was younger, and he started considering other options. Fortunately for Vandy, he had always loved working with computers, so the decision to enroll as an Information Technology student at The Community College of Philadelphia (CCP) was an easy transition. During his experience with CCP, he expressed a desire to continue on with his education following graduation by pursuing a bachelor’s degree. 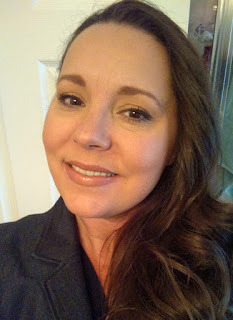 This excitement for knowledge led a CCP instructor to connect Vandy with Peirce! Since this connection, Vandy has never looked back. Vandy mentioned one of the most valuable aspects of his time at Peirce College so far has been the Career Development Services (CDS) team. They informed Vandy of a Wells Fargo job opening and he has been there ever since. Since Vandy works full-time at Wells Fargo, he can no longer attend all of his classes on campus, but that certainly doesn’t stop him from still earning his degree! He has taken full advantage of the flexibility of the PeirceFit® program, which allows him to excel in school even if he can’t make it in for class. “I used to come to all of my classes on campus, but now that I work full-time I have to attend most of them online. It’s a great option for a student like me that needs a flexible schedule,” explained Vandy. Though he’s normally busy with school and work, Vandy still attempts to fit some fun into his schedule. He balances playing video games with working out, and he loves to read comic books. Peirce College salutes The Community College of Philadelphia for providing Vandy with a wonderful educational foundation, and we wish Vandy the best in all of his future endeavors! If you or someone you know is looking to transfer to Peirce College, please contact me, Tom Tschop, Manager, Institutional Partnerships, today at 215.670.9203 or ttschop@peirce.edu. On February 9, 1866, Peirce College had its first student graduate. Since this time, Peirce has had thousands of students graduate from the College. Each of them carrying with them a unique Peirce story that is embedded in the fabric of our institution. We caught up with two alums who attended Peirce back in 1963 and invited them to share their stories with us. This time of year, they are of particular interest because not only did they graduate together, they’re also happily married! It’s a Peirce College Valentine story we just had to share. Carolyn (Booz) and Jim Stuart, sweethearts of the class of 1965, first met in 7th grade when their homeroom classes were right next to one another. Their relationship grew over time and they eventually started dating toward the end of their high school career. As graduation approached, they both had plans to continue on with their education and knew exactly where to go – Peirce! Carolyn and Jim learned about the College from friends and family members who had previously attended. What they learned then about Peirce still holds true today. Peirce enjoyed a great market reputation, was cost-efficient, and helped students figure out how to finance their education. Carolyn was immediately sold and Jim wasn’t far behind on his decision-making. After deciding on Peirce, they found yet another positive aspect for their newest journey – they could commute in by train! Each day, these two love birds took the train in and out of Philadelphia together—a ride that afforded them time together and the chapters of their evolving love story. Despite having similar academic dreams, they had different career goals. Carolyn decided to pursue a Medical Secretary degree (similar to our current Healthcare Administration program) and Jim entered into the Business Management program (similar to our current Business Administration degree). Both had a passion for their respective industries. Carolyn initially wanted to be a nurse but she quickly learned the hands-on aspect of the job was not for her. She heard of the medical secretary program and knew the administrative side of the medical field was right up her alley. Jim, on the other hand, always knew he wanted to be a business man and followed that path when entering Peirce. Jim was, after all, the son of business-focused parents. The family opened a small music store in 1951 when Jim was just 5 years old. From the very beginning, he started learning how to take inventory, how to stock shelves, and a host of other competencies required to own and run a business. Following graduation, both of these eager students entered the workforce in their respective fields. Jim took over the family business, where he was able to grow and expand in his new role. He credits his success with the strong foundation he gained at Peirce—accounting, math and business courses strengthened his ability to work and lead. Carolyn entered the medical field working in a local hospital’s community health education department. She remained there for 25 years as a patient advocate. Following this role, she worked at a local cardiologist’s office for 8 years in an administrative role. Armed with academic and professional success, Jim and Carolyn decided to tackle their greatest joint endeavor—marriage! They tied the knot in October 1965 – just a few months following their college graduation! 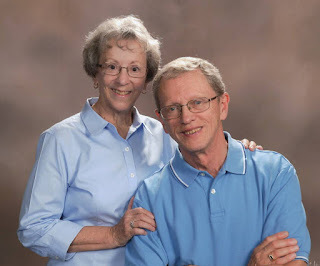 Carolyn agreed that making friends was her favorite memory, sharing, “You’d sit around waiting for your next class or you would be studying and you always had friends surrounding you.” Carolyn and Jim definitely made a lot of friends at Peirce. So much so that many were invited to their wedding and Carolyn even had one of her closest classmates as her maid of honor! Carolyn and Jim finally made their way back to visit Peirce fall of 2017 as parents of two and grandparents of three. Their family tree wasn’t the only thing that had changed, though! Peirce had expanded immensely since they last stopped by. They were able to tour the school, reminisce on their memories and see how Peirce had advanced and grown since their graduation. Although time has passed, their importance as Peirce Alumni has not changed. Their visit was yet another reminder of the many lives Peirce has impacted and the extent to which our institution is not just a place of learning. For many, like Jim and Carolyn, Peirce was a place where lifelong relationships were cultivated and flourished. We are grateful to Carolyn and Jim for stopping by to visit and for taking the time to share with us just a few pages of their amazing and ever-present love story. Peirce College is dedicated to helping non-traditional students of all ages achieve academic and career success. Whether the gap between college and high school is a few months, a few years or a few decades, adult learners should have the chance to pursue their educational dreams. At Peirce College, we open the door to your goals and help you not only pursue them, but accomplish them. One way we actively assist our students is through tutoring support. Tutoring is an excellent way for adult students to gain support with course content and to receive assistance in a variety of ways. If you have been away from the academic world for an extended period of time, you will need to prepare yourself to re-enter the classroom. One way to do so is to make an appointment with a Walker Center tutor to review basic math and writing skills. Walker Center tutors will be happy to help you with areas such as fractions, decimals, equations, punctuation, sentence structure, and essay format. Tutors’ knowledge of study skills, especially subject-specific study skills, can also prove invaluable for returning students. Tutors can provide adult students with guidance in textbook reading, note-taking, and test preparation in their own areas of expertise. Walker Center tutors were successful students in the subjects they tutor, and they will gladly share their strategies for success in the classroom. Additionally and most importantly, tutoring builds confidence! The individual tutoring session is tailored to your needs, whether you need a basic skills review, help with course content, or study skills support. During the one-on-one interaction between a tutor and an adult student, the tutor can assess your needs and challenges, present strategies to work through those challenges, and provide tools and feedback so that you will be able to succeed academically. In addition to individual appointments, the Walker Center is proud to host Study Days for our students. During these scheduled days, students can come to campus and work through their session coursework with a tutor to get any further assistance needed. Study Day is always held on Saturday, so if the weekdays don’t work for you, Study Day is a great option! We have one coming up this Saturday, February 17 from 10:00 a.m. to 2:00 p.m. Interested students should contact the Walker Center to RSVP at 215.670.9251. With each success you achieve, your confidence level will rise, and greater self-confidence can lead to more academic success. So whether you are eighteen or eighty, tutoring can benefit you! We hope to see you this Saturday or at a future appointment. 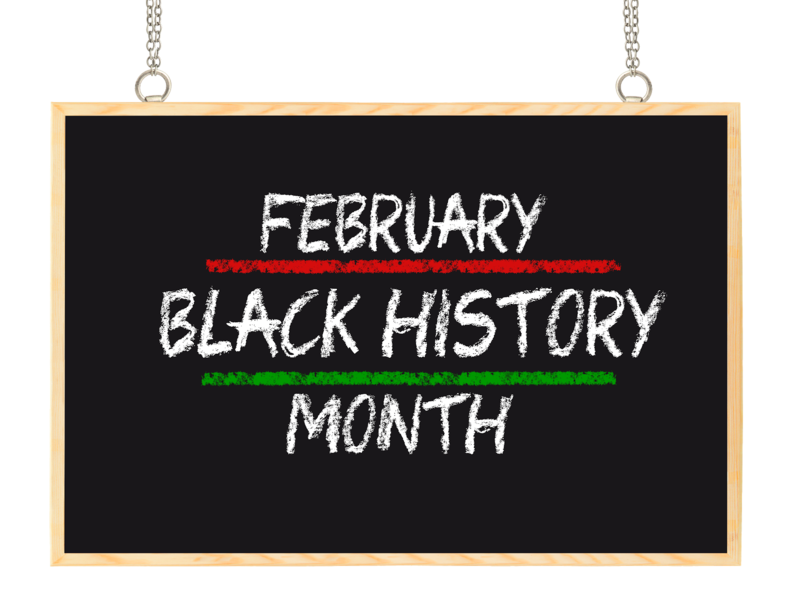 Since 1976, during the month of February, the United States has celebrated and honored the achievements of African Americans while taking time to acknowledge the central role of blacks in U.S. history as part of Black History Month. At Peirce College, we participate in this celebration and encourage others to do the same! During this month, at the College, we honor former, current and future black leaders, offer special events right here on campus and also encourage the participation in community-wide activities. Each and every day, we are grateful for the past black influential leaders who have helped shape and pave the way for the current and future leaders. The wise words and commendable actions of these inspirational individuals deserve recognition not just this month, but year-round. “You can’t separate peace from freedom because no one can be at peace unless he has his freedom.” – Dr. Martin Luther King, Jr.
We are humbled by these leaders’ courage, inspiration and dedication that they showed during their leadership roles. At Peirce College, we are celebrating the past and the future in our own way by hosting a fun opportunity for our students, alumni and community to get involved. All month in the lobby of College Hall, we are holding a Black History Month Trivia Game. All you have to do is use your knowledge of historical figures and you could possibly win a $5 Wawa Gift Card. All the details can be found on campus at the game location. In addition to the on-campus celebrations, we encourage the community to look into all the activities going on across Philadelphia. There are events for everyone to take part in to further their education on the history of this month, to commemorate the lives of those who fought for freedom, and to come together in unison to continue the fight for equality. They’ll be hosting a variety of events throughout the month, each week to honor this historical month. Visitors will be able to explore the museum’s The Story of We the People exhibit, test their knowledge on African American History and even learn about some historical events such as the Emancipation Proclamation, the Civil War and more! Use your visual skills and historic knowledge to find and identify famous African American individuals from Philadelphia. This movie is based on the true story of one of the first African American children to attend a previously segregated all white school. So grab your popcorn and head on out to learn about a heroic little girl! This event will open the minds of children to all the historical African American inventors and inventions, so they can be inspired to move forward and continue to share with the world their own inventions. Chef Chris Paul will be hosting a hands-on cooking program in honor of Black History Month. Learn how to create healthy and nutritious versions of common Soul Food recipes. This isn’t even HALF of the events going on in the Philadelphia area throughout this month. 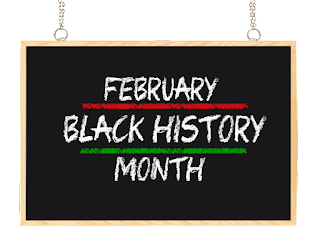 We encourage all of you to look into the events in your area and participate in a few with your family, so we all can continue to celebrate this historic month together. The City of Philadelphia’s new Workforce Strategy includes key insights from Peirce College! Since fall 2016, key cross-sector stakeholders from Philadelphia have been collaborating to build a most inclusive and unified workforce development strategy for the City. Today, Mayor Kenney officially introduced it to the city and region during this year’s Chamber of Commerce Mayoral Luncheon. Fueling Philadelphia’s Talent Engine is a comprehensive, inclusive initiative designed to build a world-class workforce through the alignment of education and training with the current and future needs of business and industry. More importantly, the strategy will equip Philadelphians with relevant workforce needs and support systems that will put them on a path to secure long-term, family sustaining employment. In addition to being thrilled about the City’s prioritization of workforce development—specifically for underserved Philadelphians including adult learners, opportunity youth, returning citizens, and immigrants—I am also excited about Peirce’s seat at this vital table. This past fall, I was honored to be invited to support this strategy by joining the Workforce Strategy Steering Committee. Since then, I have been able to share my insights about higher education’s ability to provide solutions to many of our city’s complex workforce problems. For Peirce, this kind of role is not new. It is a hallmark of what we have been doing for over 152 years—equipping individuals with relevant workforce credentials, training, and support systems. Here’s even better news. We are not just aligned with what the City is doing but also who it is doing it for. The Workforce Strategy focuses on the diverse men and women who fuel Philadelphia’s workforce and who are often under-credentialed and underemployed. As an institution that values this population and strives to meet its needs, Peirce is well positioned to be a partner in this work. What’s in it for us? It goes without saying but is worth mentioning. When Philadelphians are positioned for success, we all win! Specifically, this strategy provides more opportunities for us to amplify our impact and continue implementing the workforce development plan we envisioned and built for the institution more than three years ago when we designed our Employer Relations Strategy. Since then, we have strived to more directly and intentionally bridge the gap between employer needs and those served by higher education. 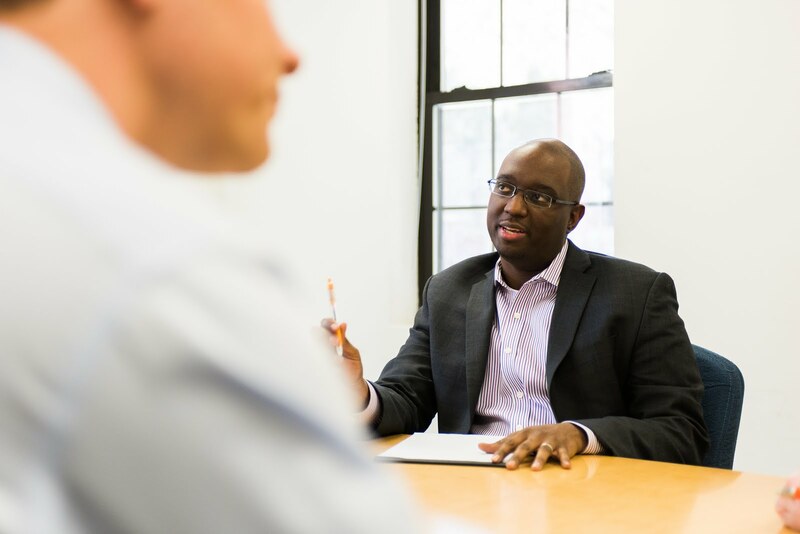 Since then, our Associate Vice President of Workforce Solutions and Community Impact, Malik Brown, has been at the helm of helping Peirce narrow this gap one relationship, one partnership, one initiative at a time. For instance, Malik led the development of our customized training program in non-clinical healthcare—informed by some of our City’s leading employers and supported by a United Way of Greater Philadelphia and Southern New Jersey Impact grant. Set to launch this spring, this pilot program will provide individuals with front-line customer service skills that are in high demand. Another example of Peirce’s alignment with the City’s workforce strategy is our focus on serving opportunity youth. The City has identified this talented but underserved population as a critical group to better educate, train, employ and support. This approach mirrors Peirce’s partnership with Year Up. Since 2013, we have worked collaboratively with Year Up to address the needs of opportunity youth ages 18-24. Together, we have supported almost 400 students in plugging back into post-secondary education, workforce, and support systems. The City’s workforce strategy is relevant, timely, and necessary. For too long, many practitioners in higher education, workforce development, government, social services, and business have been working individually to tackle the widening gap between business needs and talent readiness. By locking arms together and walking in lockstep toward solutions, we have built a comprehensive, strategic direction that will better harness resources, advocate for policies, optimize systems and arrive at the kind of impact our city and its citizens deserve. Fueling Philadelphia’s Talent Engine is the workforce engine that will amplify Peirce’s impact and that of many other practitioners focused on workforce development. At a time when our nation is pulled apart by our differences, this strategy pushes us closer together and gives us a necessary, common purpose. More than a City’s workforce strategy, it is a call to action for us to focus on what really matters—building inclusive, collaborative solutions and serving those who could benefit most from Philadelphia’s spirit of teamwork and partnership. Check out the information provided online at phila.gov/workforce. Stephanie Sheeley is a mother of two, a working adult and an eager and dedicated student who found Peirce’s College’s Health Information Administration (HIA) degree to be the program for her, and it might be the right one for you, too. Building on last month's program feature - Jennifer Shaw’s story on Healthcare Administration - we focus this month on Health Information Administration. Peirce began offering our HIA degree in 2012. Since then it’s grown and gained much recognition, most recently through the accreditation by CAHIIM (Commission on Accreditation for Health Informatics and Information Management Education) last year. This accreditation means students like Stephanie will be able to sit for the RHIA exam, a highly valued certification by regional and national employers, following graduation. Stephanie enrolled in the program after life threw her a twist and she found herself needing to return to the workforce full time. Stephanie realized what many working adult learners do: if you want the career you deserve, you need a degree. Stephanie's description of the industry is spot on. Health Information Administration graduates usually enter jobs in the healthcare setting, including hospitals, clinics, medical offices, insurance and pharmaceutical companies. And that’s only a portion of the variety of job opportunities available to you when you earn a Bachelor of Science in Health Information Administration. Stephanie is getting the most out of her experience with Peirce and wants to be sure you do the same. For all those working adults out there considering going back to school, Stephanie has some advice. Stephanie is set to graduate this June! Congratulations to her on all of her accomplishments. Check back for more program features in the coming months!